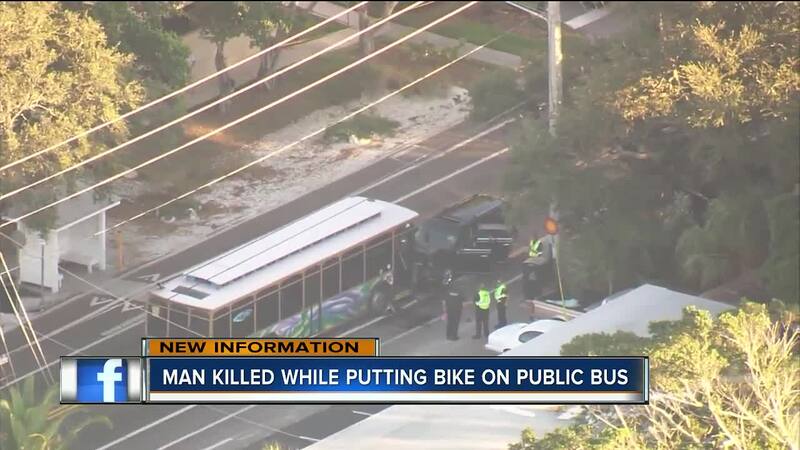 Pinellas County deputies are investigating a fatal crash involving a vehicle, PSTA bus, and a pedestrian. Investigators say that the pedestrian has died. 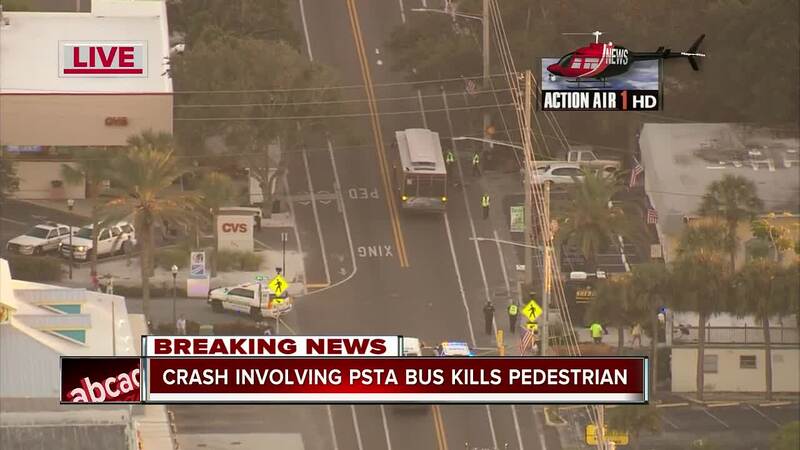 INDIAN ROCKS BEACH, Fla. — Pinellas County deputies are investigating a fatal crash involving a vehicle, PSTA bus, and a pedestrian. Investigators say that the pedestrian has died. According to investigators, around 1:54 p.m. Monday, a PSTA bus was stopped at a designated bus stop on Gulf Boulevard, when it was struck head-on by an SUV that had crossed over from the northbound, into the southbound lane. Investigators say that at the time of the crash, 55-year-old Michael Richardson was placing his bicycle on the bicycle rack, which is located on the front of the PSTA bus. Richardson sustained life-threatening injuries and was transported by Bayflight to Bayfront Medical Center, where he was later pronounced deceased. The driver of the SUV, 58-year-old David Schwab, was transported by ambulance to a local hospital, for non-life-threatening injuries. The additional passengers on the PSTA bus were uninjured. Due to the severity of the crash, deputies closed Gulf Boulevard, from 1st Avenue to 5th Avenue, while they conducted their investigation. Investigators say that impairment appears to be a factor in the crash and criminal charges are pending against Schwab.